So many people experience a heightened sense of energy and vitality in the spring, a phenomenon so common that it is widely known as “spring fever.” This year, it seems heightened for me by the severity and length of the cold, dreary weather we’ve just survived. 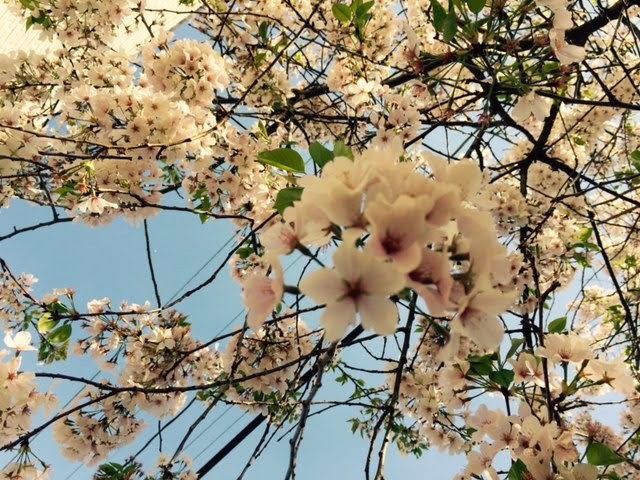 I am more aware than in past years of people “stopping to smell the cherry blossoms” as well as photograph them. Cyclists are crowding the bike paths, hikers are taking advantage of the trails, and dog owners are taking their dogs for bonus walks just to soak up the sun. Not only am I taking advantage of the beautiful nature this time of year, but I find myself deciding to let some things go that haven’t worked for me while committing to new behaviors that will achieve my personal long-term goals. Just as people experience seasons and respond to them differently, at least metaphorically so do organizations. Our continuous improvement change model is a cycle with four stages, just like the seasons in our area. In its “winter” phase, leaders DEFINE where they want to go and where they are. This is followed by the “spring” stage, where they DESIGN the most effective path from where they are to where they want to go, shaped by the criteria they set for measuring effectiveness. This second phase is one filled with creative energy, challenging long-held assumptions, and exploring unfamiliar territory—just like we experience spring on a personal level. I encourage organizational leaders to capitalize on the natural energy of spring and apply it to engaging members in charting a fresh course to shared goals. For information about the final two “seasons” of our change model, please click here. 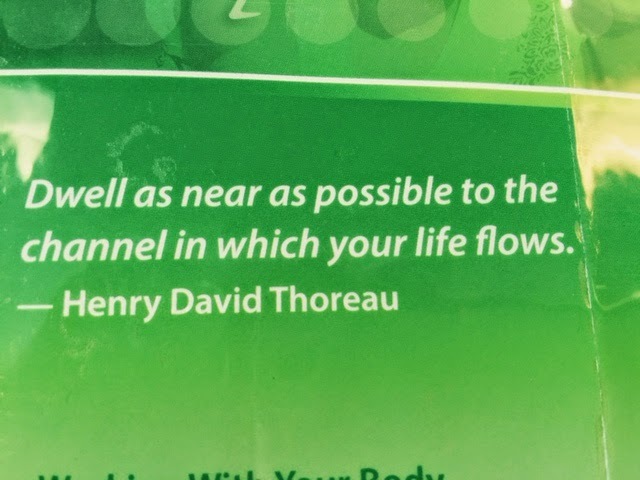 While on “shore leave” during my recent sailing adventure in the Grenadines, I noticed this quote posted in a coffee/craft shop operated by interesting folks who are clearly trying to adhere as closely as possible to Thoreau’s advice. I was inspired by both the proprietors as well as the sage advice given by Thoreau so many years ago, especially knowing that it was advice he followed himself. These words got me wondering about how we know where the channel of our life flows, and how we endeavor to dwell there as much as possible. As I have described in detail in my book HUM, I believe all life moves toward greater purpose and harmony. The channel in which each of our lives flows is defined by our ability to identify and pursue our personal, unique purpose—and to do so in harmony with other living beings and the planet we share. Once one finds the essence of one’s personal “calling” or purpose, one does not automatically live in that channel. For me, it takes ongoing reflection, re-calibration and re-centering. My understanding of my purpose reveals different dimensions over time and as a result of the lessons I learn in my daily life. Yet, it is never situational. It remains like the keel of my boat as reassurance that I will sail safely through high seas without worry of capsizing. Pursuing one’s purpose in harmony with others and the planet is a daily challenge. When faced with hate, greed, fear, and competition in their various guises, I find myself in constant inner conversations about the most harmonious path. Should I face these negative energies head on, which can leave me side-tracked and exhausted? Should I ignore them and stay in my channel, with the thought that I might be copping out? When is what others do my business? (For example, I was recently chastised by friends when I picked up a fast food container thrown from a car in Old Town and walked up to the car stopped at a light, knocking on the door to give them back what they had “dropped.” My friends felt I had gone too far and that the inhabitants of the vehicle were not only irresponsible, but possibly incapacitated or even armed.) I think about the waste I produce and how I use more than my share of the planet’s resources, and continually examine (with guilt) how I can be a better steward. I am sure you have similar conversations with yourself, and framing them in terms of Purpose and Harmony may help you continue to grow into the person who dwells in the channel in which your life flows. With spring’s eventual arrival and the approach of both Easter and Passover, we can all benefit from moments of personal reflection and steps toward realignment before we enter into the more active days of summer.